If you want to download a great new game or cool new streaming service, but discover the app is incompatible with your device or not available in your country, it doesn't necessarily mean you need to give up. One of the best things about Android is that there's always a way to get what you want. 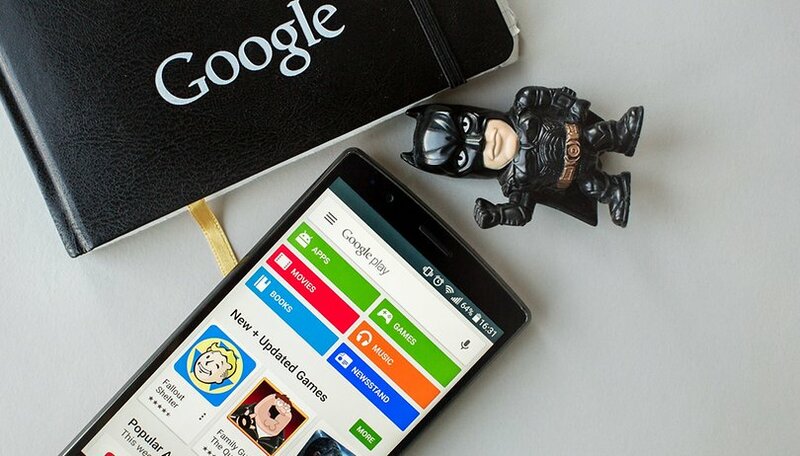 So today, we'll show you how to install incompatible apps on Android using a couple of great little tools. It's important to note that whilst VPNs and APKs can be very effective, they are not the answer to all your problems. You will find that some apps just aren't compatible with your device - no matter what you do, it will never work. The internet-savvy among you are probably already thought of using a VPN to mask your location and possibly trick the Play Store. And indeed, this is one method you can use. 1. Download TunnelBear from the Play Store. 2. Launch the app and create an account. 3. You'll see the switch to turn TunnelBear on and a map of the world. Simply tap a tunnel anywhere on the globe and wait for the bear to tunnel its way there. 4. If you get a connection request, agree to it. 5. Once the bear has tunneled to your new VPN location, you can go grab that app you were after. Say I wanted Hulu in Germany, where it isn't possible to install the app. I can simply tell TunnelBear that I'm in the US, and I'll be able to download Hulu. You still might not be able to find apps by searching directly in the Play Store, but searching for the app name and “play store” in Chrome should bring up the app link. You'll now be able to click that link and download and install the app. Note that you may need to keep the VPN running in order to access content in region-restricted apps and that not all apps will work outside their regions. If the app still says it's not available in your country, clear the cache for the Play Store in Settings > Apps > Google Play Store and try again. There is good and bad news: installing a non-compatible application on your smartphone is very simple, but it only works with free titles. 1. Copy the app's URL. 2. Paste the URL into the APK Downloader site. 3. Download the APK file. Here is a link to the full guide on how to download an APK file from the Google Play Store. If the APK Downloader site does not work, you can always try to retrieve the APK file you want via APK Mirror. Not all apps will work properly with your device just because you tricked the Play Store into downloading them. It's still possible that strange things will happen due to the difference in screen resolution or aspect ratio, or the app may not work at all. What apps have you downloaded using these methods? Do you have any other tips to share? Let us know in the comments below. No connection to the internet. Please connect to a Wi-Fi or Cellular Data Network and try again. That's a normal situation with peaple who download the app, there are many comments like this on their website.Actualy, i copied and pasted a comment of a user called muhammad faraz khalid. I downloaded the apx file into my computer and have my phone up, what do I do next to install it? I tried downloading it from google drive but it says "parse error" There is a problem parsing the package. It just means the app is incompatible with your device or your Android version. You can’t do anything about it. Will apps still get auto-updated if you use these methods? The only app I ever wanted that was geoblocked is Pandora, that doesn't show up in the Play Store in Canada. I'd put time and effort into "stations" (Pandora needs constant nurture, keeps wandering into tops of the pops) on the PC over some years, then Pandora blocked it. The new Opera VPN works fine, relocating to USA and permitting both Play Store download and streaming. Truth told, I'm rarely using it anyway any more. I suggest people drop the whole idea of installing non-permitted apps. Really, who cares for an app so much that one will endure this unpredictability, legal issues, and security holes? There are millions of apps legally available to you. Pick a few and enjoy them. Don't worry about what apps people in Switzerland, or Timbuktu, are enjoying. If you're rooted, Xposed framework has some good methods for this. i wanna try but i'm afraid if my phone so deeply broken. I used galaxy tab 3 but cannot install whatsapp and others. what should i do? I am in India I tried it but it didn't work. Don't know why? Error ¨Android ID not found¨, market helper, como soluciono esto? como lo corrijo? LG P720H 3D Max, con android 2.3.5, no puedo entrar ni al Gmail, tampoco a mi google play me dice error de conexion con el servidor, ni al google+ sin conexion, no es posible conectar con el servidor, solucionen esto. donde hayo el archivo q da Id a mi android?